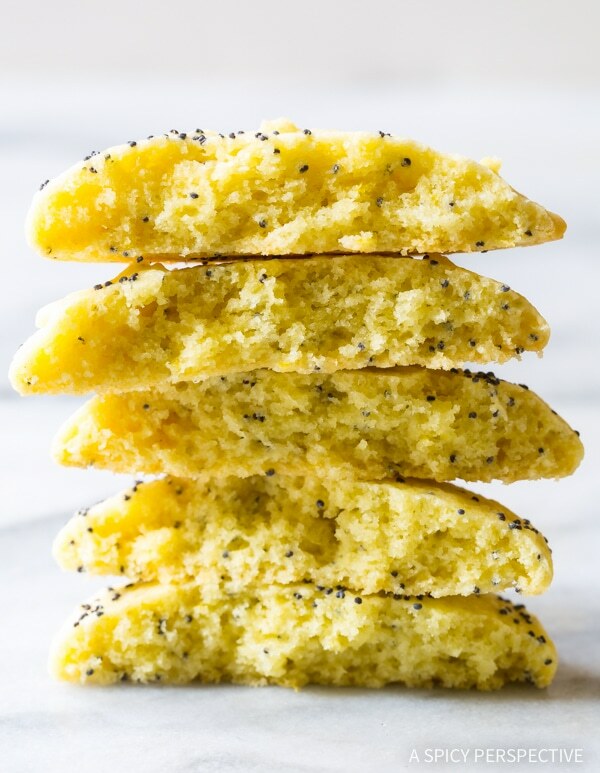 Soft Lemon Poppy Seed Cookies – an absolute favorite bake sale cookie for spring! Melt in your mouth cookies with a pop of fresh lemon essence. Warm weather is officially here and I am officially celebrating. Take that, winter! Cookies seem like an appropriate treat to usher in a season of sunshine, flowers, and picnics. Especially if the cookies are as light and airy as summer makes us feel. I know, I know. I’ve said that before. However, these pillowy little drops of sunshine are so tender and vibrant, you can’t help but love them! 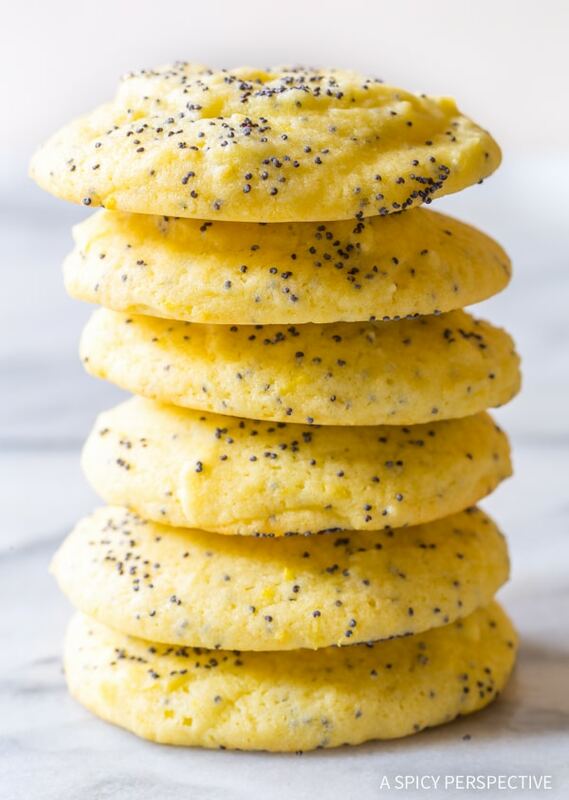 Our Soft Lemon Poppy Seed Cookies are packed with lemon zest and poppy seeds for a tangy flavor that instantly makes you feel light-hearted. Plus those Poppy Seeds give these cookies a wonderful pop of color! These drop-style cookies take very little effort to prepare and retain their tender texture for days. 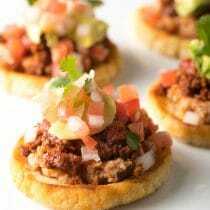 They are a marvelous make-ahead for parties and weekend treats! Just be sure not to over-bake the cookies. The centers may look a little underbaked, yet the moment the edges are set and just barely showing color, take them out of the oven. 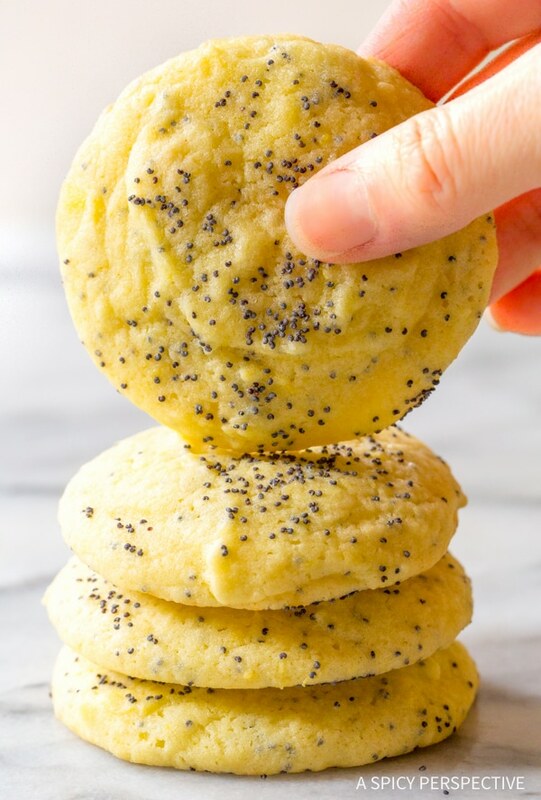 You’ll end up with heavenly Soft Lemony Poppy Seed Cookies that will make everyone feel like celebrating! 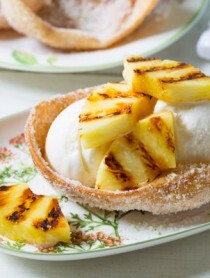 Perfect for summer or spring days when all you need is a fresh, sweet treat to brighten your day. Mix – The most important thing to remember to make soft pillowy cookies, is that you need to cream the butter and sugar together. That means you need to beat them together on high speed until the sugar crystals start to break down and the butter is extra fluffy. Do this before mixing in any other ingredients. Scoop – Measure the cookies out in equal portions. That way they bake evenly. Bake! – Don’t over-bake the cookies. Take the cookies out of the oven, when the edges are just barely golden brown, but the centers still look slightly under-baked. The centers will finish baking on the cookie sheets as the cookies cool. 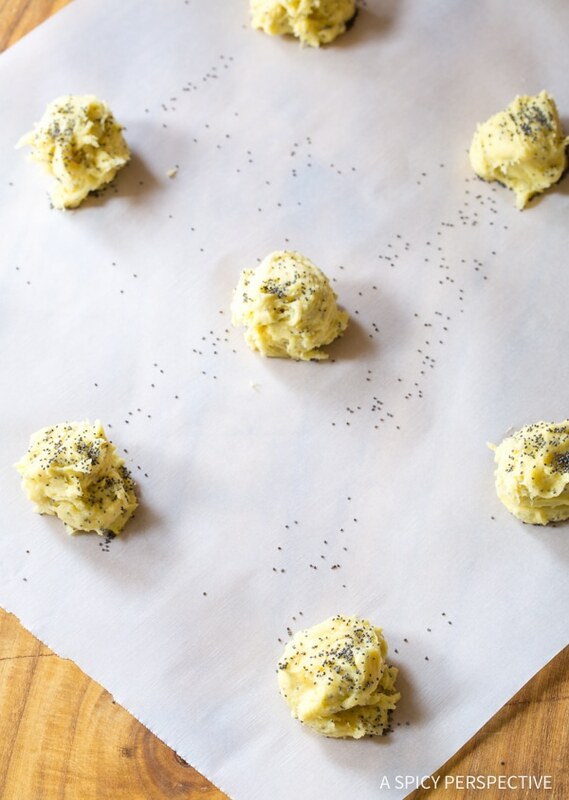 See The Recipe Card & Video Below For How To Make Soft Lemon Poppy Seed Cookies. Looking For More Pillowy Cookie Recipes? 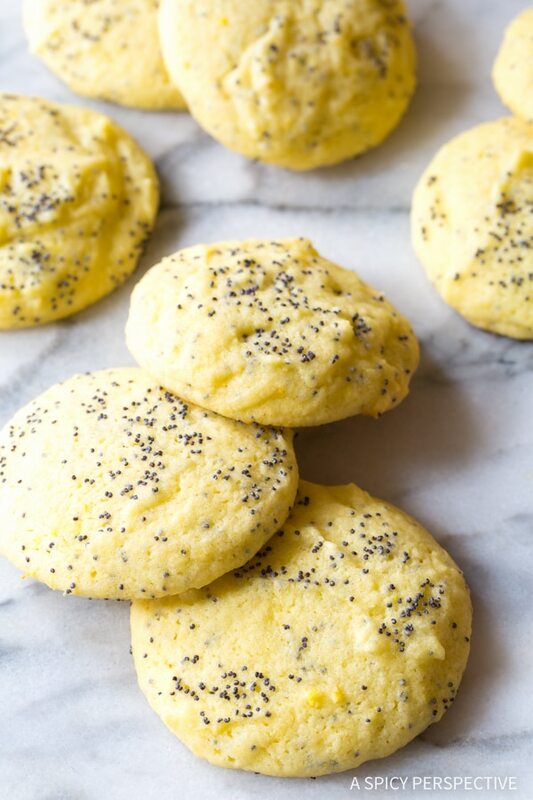 Soft Lemon Poppy Seed Cookies are an absolute favorite bake sale cookie for spring! Melt in your mouth cookies with a pop of fresh lemon essence. Preheat the oven to 350 degrees F. Line baking sheets with parchment paper. In a medium bowl, mix the flour, baking powder, baking soda, and salt. 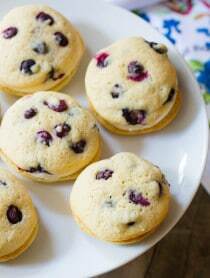 Cream the butter and sugar together with an electric mixer until light and fluffy, 3+ minutes. 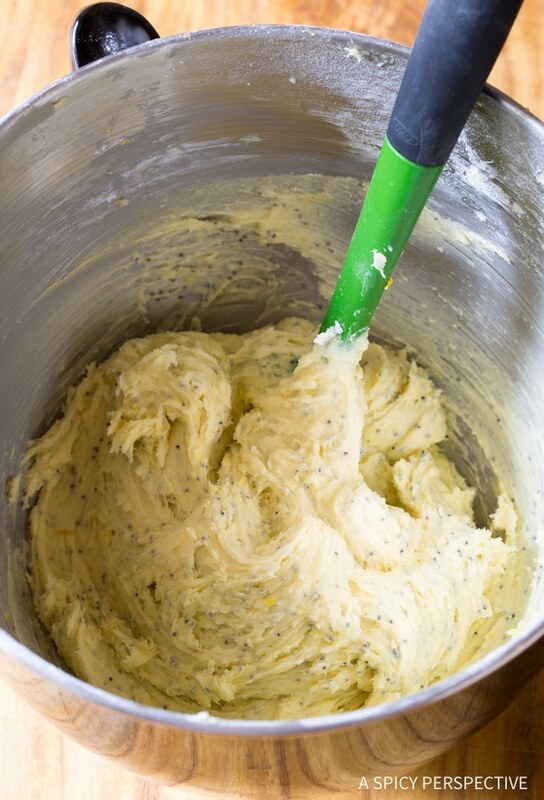 Scrape the bowl and beat in the egg, lemon zest, lemon juice, vanilla, poppy seeds, and yellow food coloring. Turn the mixer on low and slowly add in the flour mixture. Scrape the bowl, then mix until well combined. Scoop the cookie dough onto the baking sheets in 1 1/2-tablespoon portions, two inches apart. Sprinkle the tops with extra poppy seeds. Bake for 10-12 minutes, until the edges are just barely golden. Then cool on the cookie sheets for 5 minutes before moving. Since we love lemon poppy seed muffins at our house, I had to try these cookies! They were soft and wonderful!!! The BEST cookies I have made…friends and family raved and asked me to make a double batch next time! 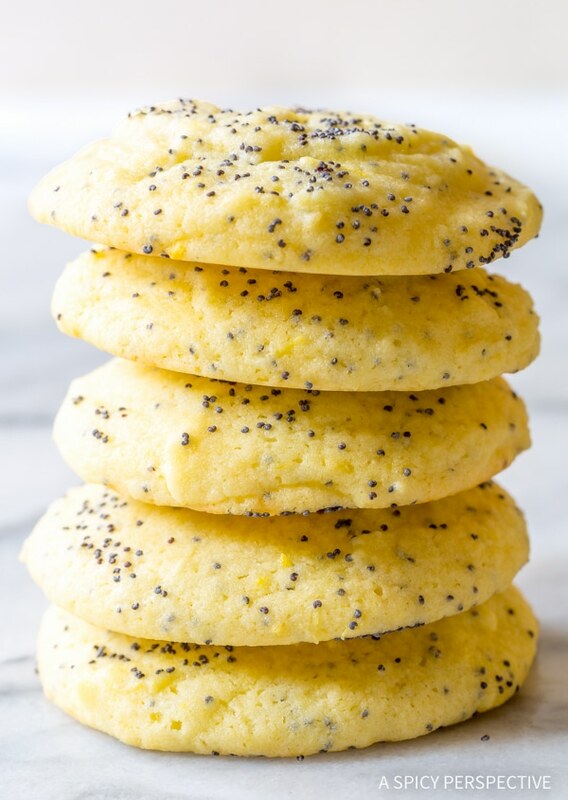 Perfect winter cookies…bright, sunny, lemon-y, soft and chewy…this is the only recipe I will make for Lemon Poppyseed Cookies from here on out! Is there supposed to be parentheses in there? So sorry about that! We are in the middle of converting our recipes to a new user-friendly format, but there have been some glitches. We are working to find them all. Thanks for pointing this one out. All fixed! These are now my sons favorite cookies. Whenever he is home from college I have to make a batch for him to take back with him. They are delicious! I’m a-gonna go home and bake a huge batch of these here cookies TONIGHT! These look fantastic! 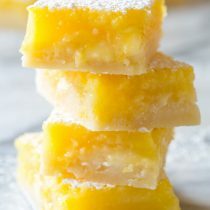 I’m a huge fan of lemon desserts and baked goods. My peeps sometimes complain that I make things ‘too lemony’, as if such a thing were actually possible. 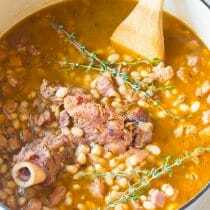 Love this recipe!! Lemon poppyseed anything is a favorite of mine. A little bakery I used to work in as a kid had the best muffins, and I was lucky enough to get them right out of the oven! These sound delicious (I LOVE lemon), but alas, I’m not a fan at all of soft cookies. Any way to make them so they’re crisp (or at least not soft in the center)? Such yummy and classic flavors! 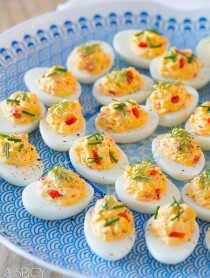 These are adorable for spring, and look perfectly moist and chewy! Yum! These are so pretty! I love lemon and poppy seeds! Is it better to freeze dough and cook later, or cook batch and freeze cookies? I prefer to freeze dough and bake the cookies when needed. That way, they are fresh! Such a fun cookie! 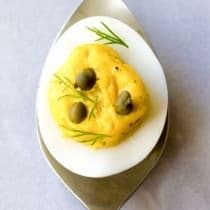 I’m always a fan of lemon and poppy seed together and this is a great way to deliver it.